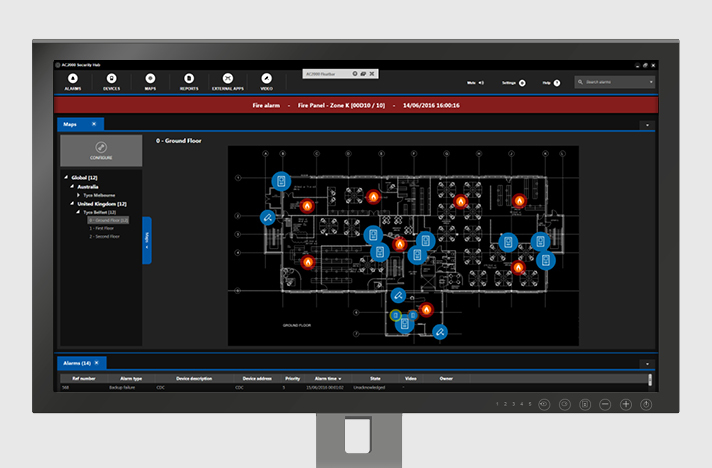 The AC2000 Interface with Tyco Minerva MX range of fire panels enables alarms or events generated for MX Panels, Sensors and Zones to be fully integrated with the AC2000 access control and security management system. 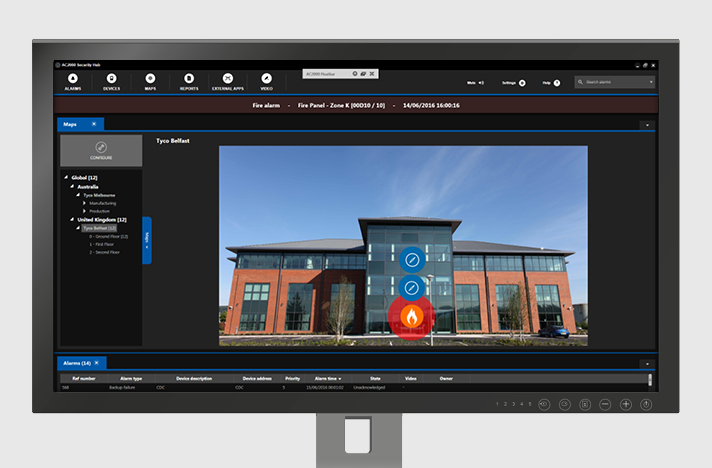 Access control and Minerva MX Fire alarms/events can be displayed via a single central alarm monitoring screen using the powerful, highly intuitive AC2000 Security Hub application. 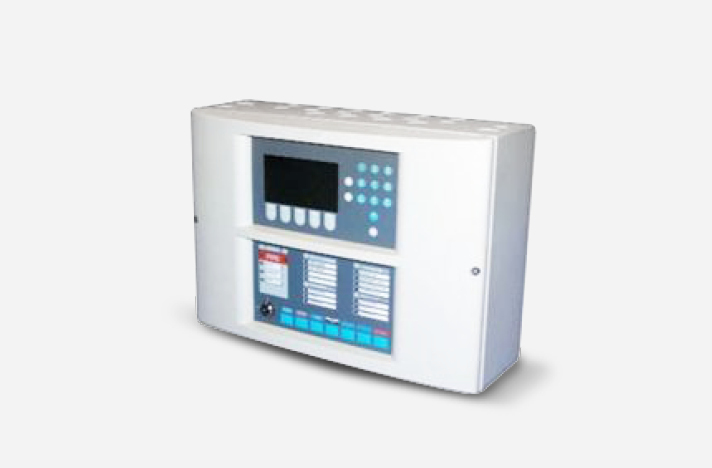 AC2000 Minerva MX Interface enables uni-directional communication allowing the AC2000 system to receive alarms from the Minerva MX Range Fire Detection System consisting of a network of up to 99 Fire Panels – each one controlling sets of Points and Zones. Graphical representation of current states for MX Components: Points, Zones and Panels.